We are very proud to be rated Outstanding by Ofsted in our recent inspection. Click the Ofsted Outstanding logo to download the report. We are offering places for two, three and four year old children. We are offering Free Early Years Entitlement of up to 30 hours. Our base is at the 25th Grappenhall Scout Hut where we will prepare for our daily adventures, and return to share our experiences with you at pickup time. Our philosophy is based on the Forest School approach, which puts the child at the centre. Children will develop their independence and resilience, communication skills, their imagination and thinking, teamwork, and of course have loads of fun in the process. The outdoors is the absolute best place for children to be. They are natural explorers and little scientists finding out about the world for themselves with the support of experienced and caring adults. Children will connect with and understand nature, themselves and each other in a deep and meaningful way because the outdoors is such a rich and stimulating environment. They will experience the changes of the seasons and learn about nature first hand, as well as how to look after themselves and each other. We prepare at our Grappenhall Scout Hut base where the children arrive, settle and take part in activities then when we are all ready we set off on a different adventure each day. We walk to a variety of locations in the local area, looking at nature and discussing any hazards on the way. We have our snack and set up a day camp with everything that we need for the day. We take part in a huge variety of different activities such as playing games, building dens, studying and caring for the environment, craft with natural materials and lots of time for free play and exploration. Our passionate, experienced and qualified staff will work with and observe each individual child and track their learning and development within the Early Years Foundation Stage framework. We will have lunch together then return back to play, or start a new activity or have some quiet relaxing time. Later we will have another snack and share our daily experiences, reflect on the day and collectively plan for future adventures. This will take place either at the base camp or back at the scout hut depending upon the weather. We walk back to the scout hut chatting about the day and looking at more nature as we find it. If its a wet day we may take off outer layers to check we are still dry and comfortable back at the scout hut. If its a dry day we may remain in the woods and walk back ready to greet you for collection. 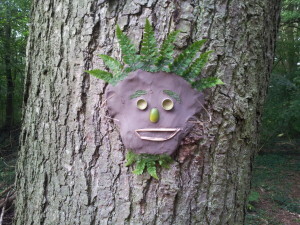 We also provide a holiday club – Den in the Woods, this operates most holidays and will cater for children aged 3-12 years. 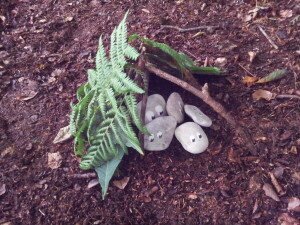 If a preschool child is settled in Nest in the Woods they are able attend. Please email admin@nestinthewoods.co.uk or call Sally on 07954160118 to arrange a visit. Earlier pick-ups can be made by arrangement but you may need to meet us at our location on the day. We welcome children to attend for 1 day per week but would recommend 2 days to get the full benefit of our approach. We use Tapestry, an online app with which we can record observations and monitor and review the progress of the children. You can download a mobile version (Android link, iPhone link) of Tapestry to keep up to date in real time on your child’s progress. You can also use the web version by following the Tapestry link under the Pre-Schools menu at the top of the page or clicking here. A day at Den in the Woods.